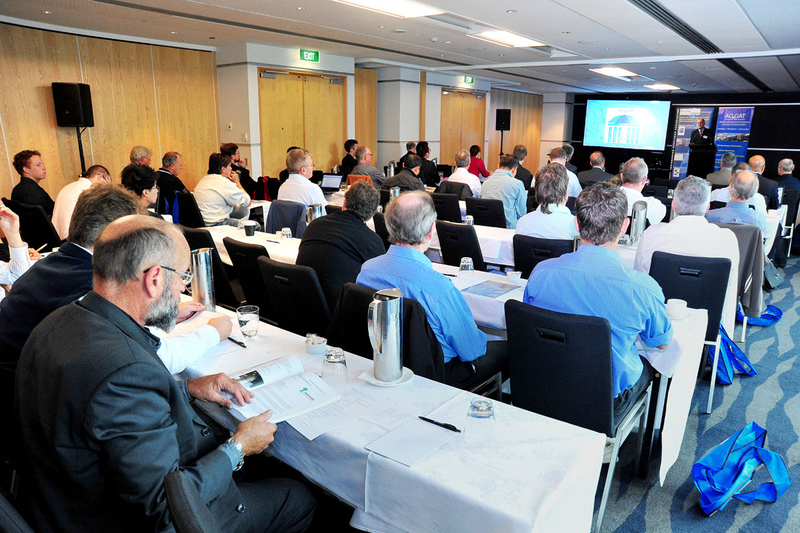 AGGAT Global Conference a great success! 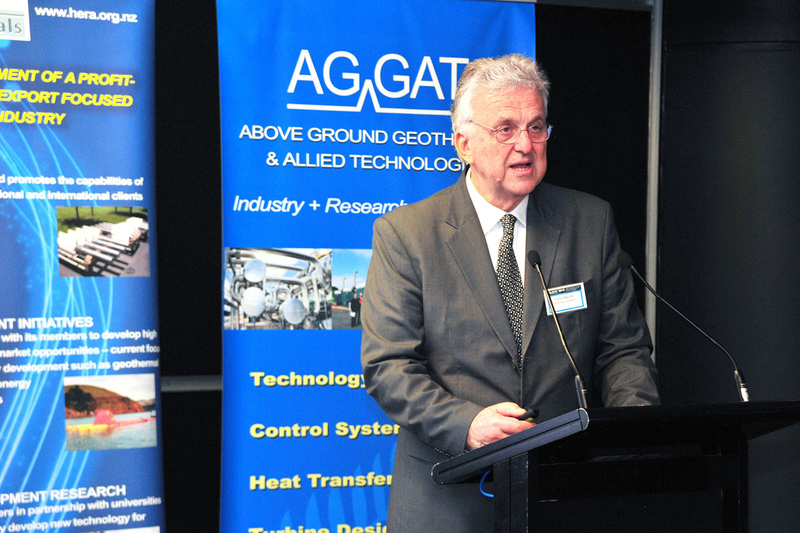 The first ever Global Conference on Above Ground Geothermal and Allied Technologies (AGGAT) was held on 30th April 2015 in Auckland. Around 60 delegates registered for this conference covering a mix of industry, academia, field experts and government. 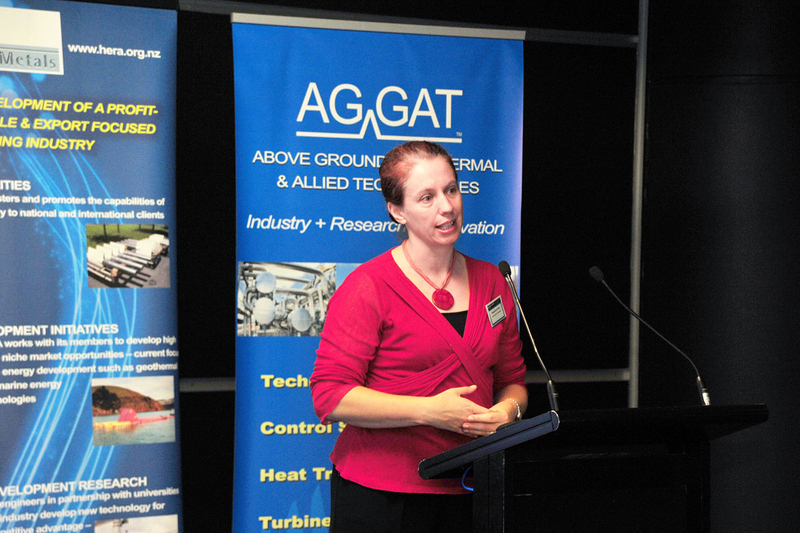 Professor Rosalind Archer, Director of the Geothermal Institute of the University of Auckland opened the conference with a talk on the geothermal context for AGGAT research. She also provided a brief update on the recently held World Geothermal Congress in Melbourne which was co-hosted by NZ. The first keynote speaker was Professor Ennio Macchi from Politechnico di Milano in Italy, who spoke about the choice of working fluid in the binary power generation cycle as the most important step for its success. 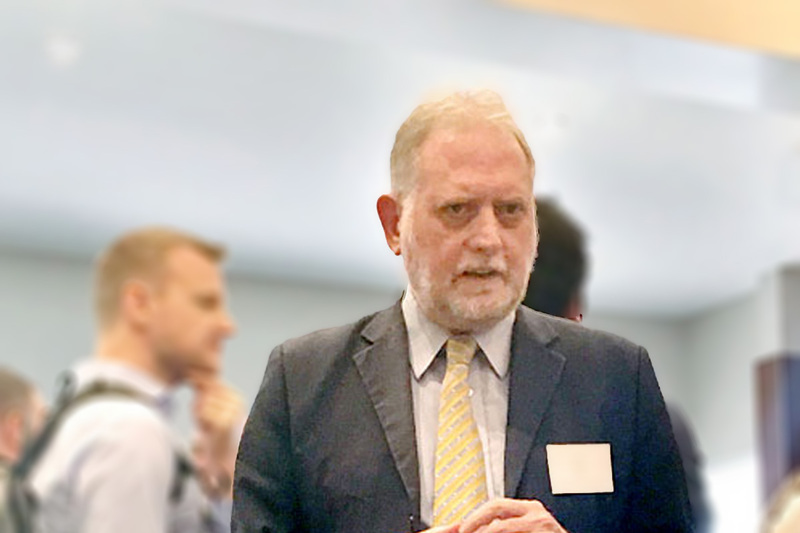 He reflected on his past 30 years involvement with Turboden and more recently Exergy, in which he had a central pioneering role of establishing both as leading companies in the current power generation market. He also had a key role in the development of radial outflow turbines. 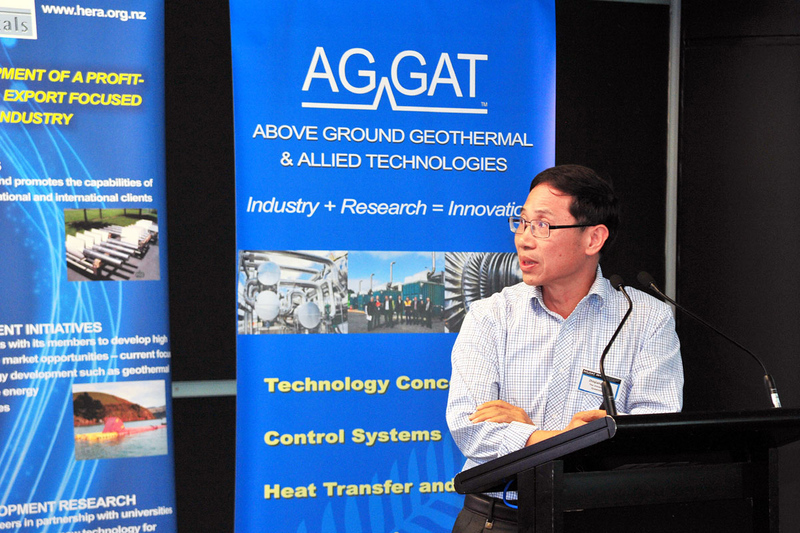 The second keynote speaker Dr. Zhiqiang Guan spoke on cooling systems and innovations being researched on at the University of Queensland in geothermal applications. University of Queensland Keynote Speaker Dr Zhiqiang Guan. Politechnico di Milano Professor Ennio Macchi. Their highly informative talks were very well received, as were the other talks presented at the conference. All the presentations were of exceptionally high quality, drawing very positive feedback from the delegates on the expertise of the presenters and the quality of work being carried out within the AGGAT programme. It is difficult to pick out highlights of the conference given the importance of every talk presented, however based on comments and feedback, Dr. Andreas Markwitz presenting on surface coating capabilities at GNS for coating inside pipes, and especially the success with Diamond like Carbon (DLC) in smoothness and homogeneity, attracted much attention. Matthew Proctor (HEERF Scholar) spoke on feed-forward control of well head valves in geothermal environments, and ORC plant modelling using Ngawha generation plant data which drew comments of interest regarding process control possibilities. Many more such presentations accounted for stimulating feedback, leaving delegates with food for thought around potential opportunities for their own growth and development based on insights gained from the conference. Special acknowledgement is given to the conference organising committee that worked so hard to make this conference a resounding success, and make this information sharing and networking event possible.